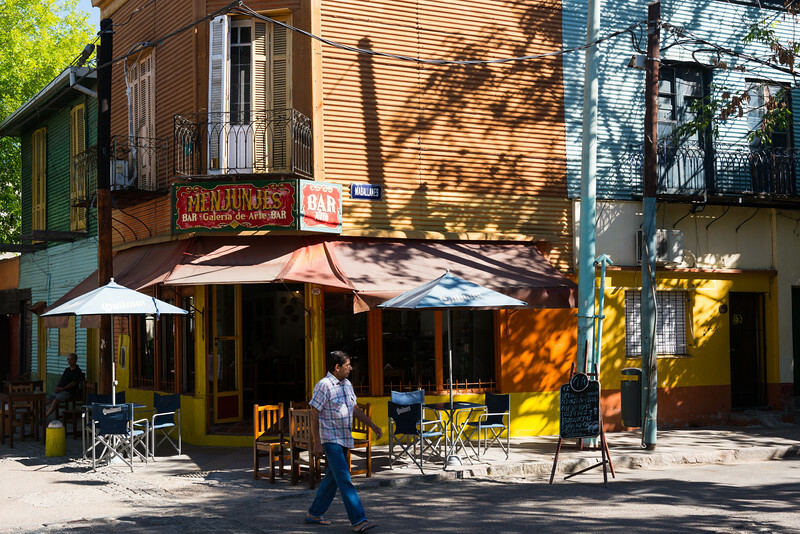 Often referred to as the “Paris of South America,” Buenos Aires is a charming city. It’s also a city of many contrasts. 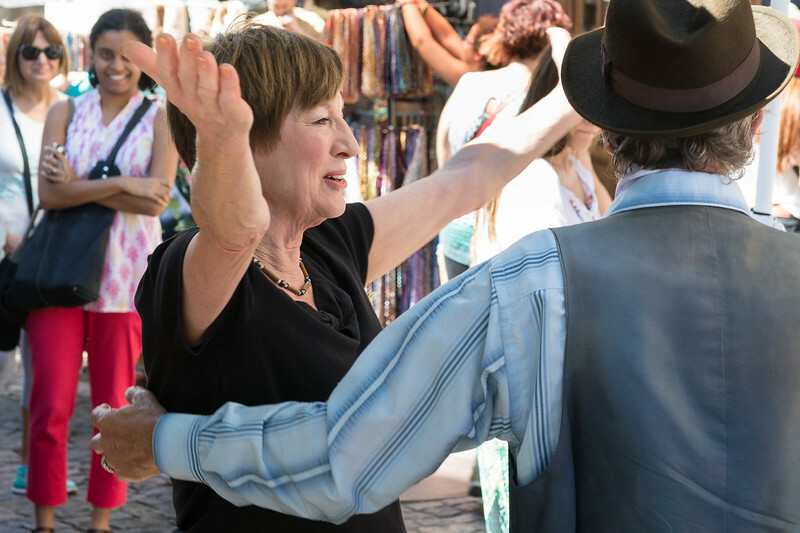 The beauty of its architecture, cobblestone streets, large parks, and wide avenues reflect on Argentina’s past as one of South America’s most robust economies. But, they are also tarnished by a decade and a half of recession, currency fluctuations, and an increase in crime. 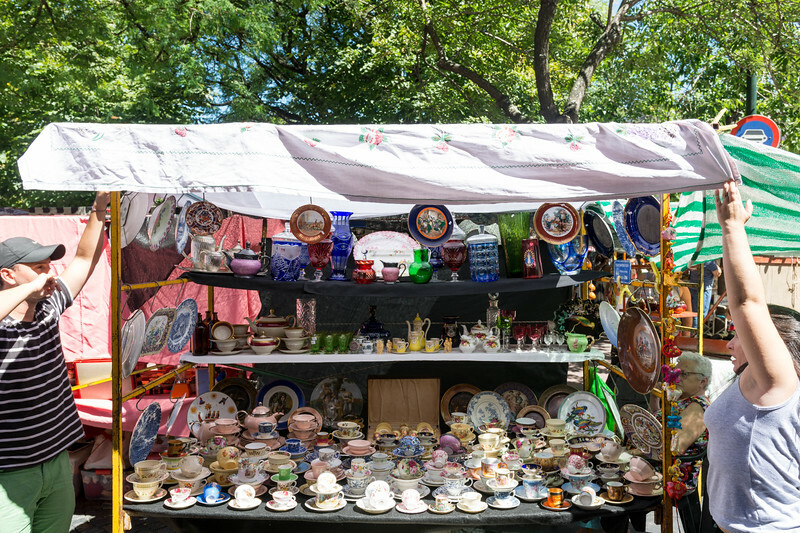 Tourists and locals alike flock to attractions like the San Telmo Sunday Market, where antiques and valuables from a more prosperous time are sold from folding tables, often for a fraction of their true worth. 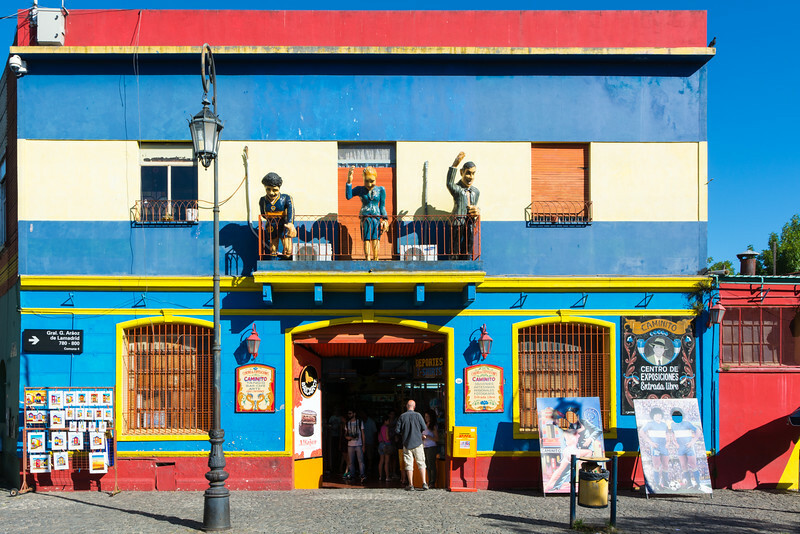 Colorful neighborhoods like La Boca offer a mix of dining and an active nightlife, combined with a certain amount of seediness that serves as a reminder of the ongoing economic hardships for many of Argentina's working class. 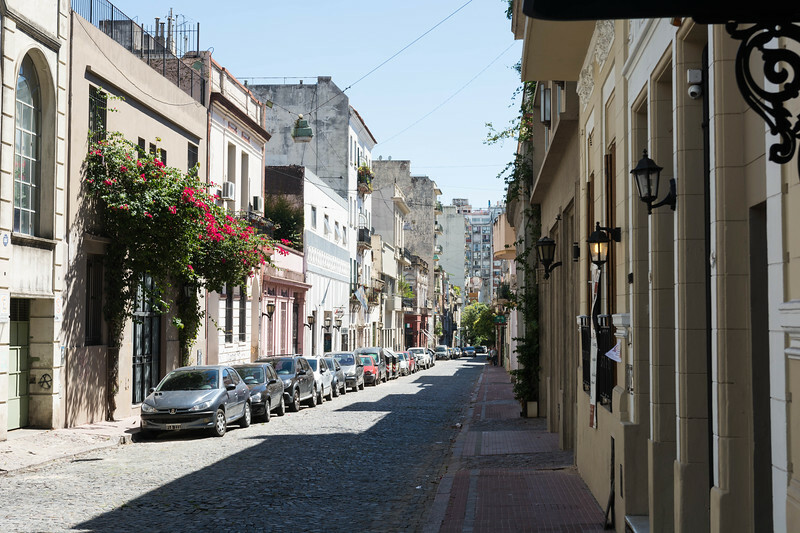 In many ways, Buenos Aires feels like a city whose glory has faded just enough to be shabby chic, but not yet enough to be completely undesirable. It’s a city that requires tourists to step outside their comfort zone a bit more than one might expect, dealing with things like ATMs that are chronically out of cash, some of the most corrupt and dangerous taxis we’ve seen anywhere in the world, and a surprisng lack of infrastructure for things like wireless communication. 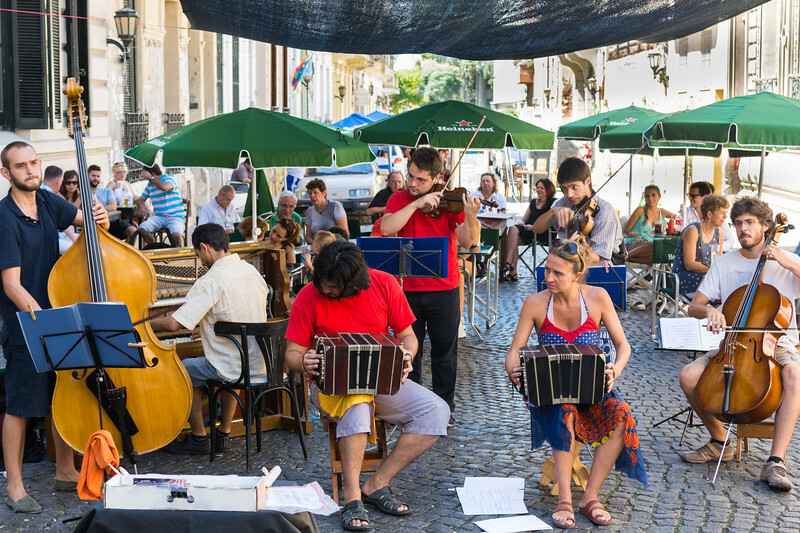 Yet, it’s still a city I recommend visiting, because at its heart, Buenos Aires is full of culture, fine cuisine, wine, music, and art. 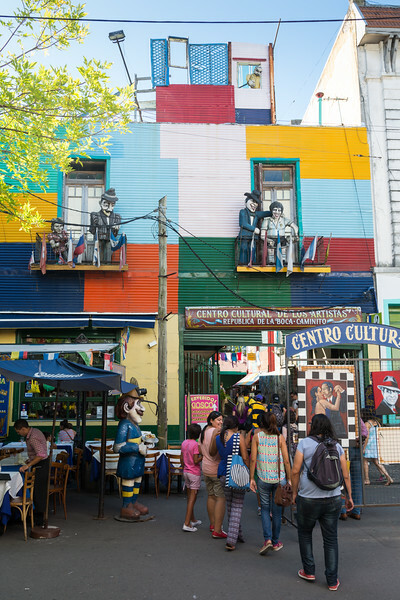 Street in San Telmo, Buenos Aires. 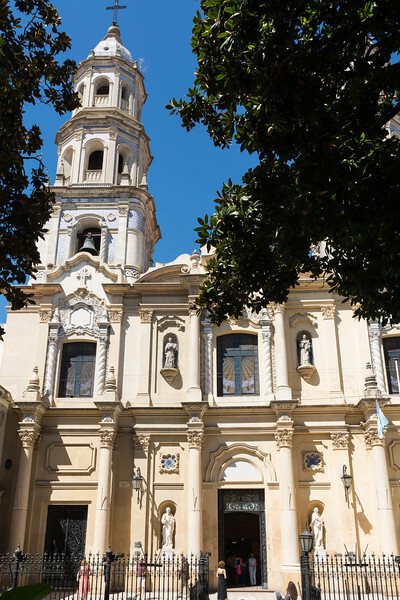 Exterior of the Iglesia de San Pedro Telmo in Buenos Aires. 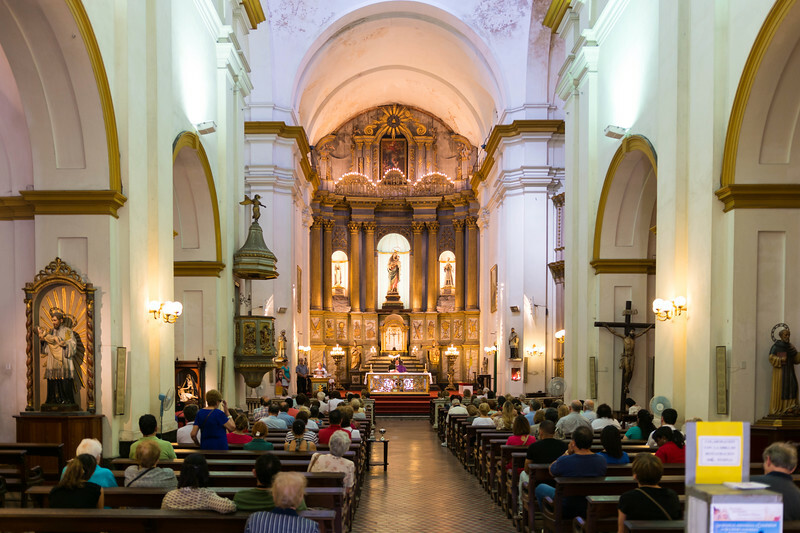 Sunday mass, Iglesia de San Pedro Telmo. 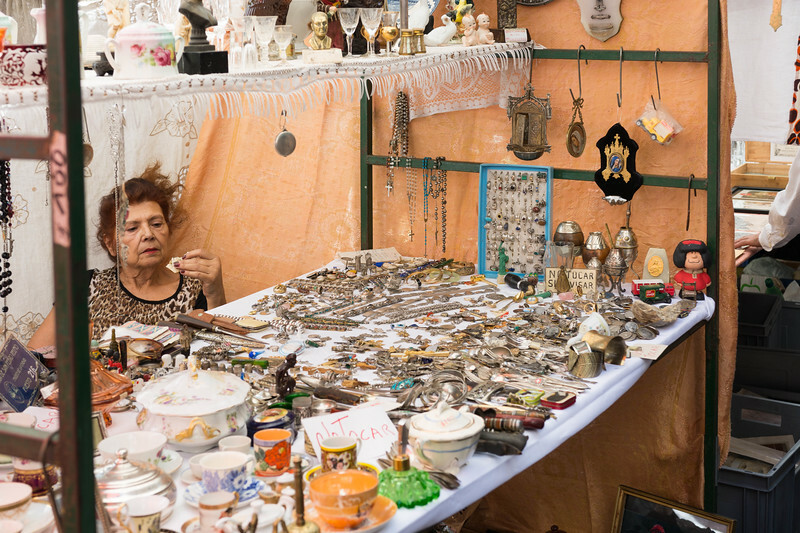 One of the many vendors in the San Telmo Sunday market. 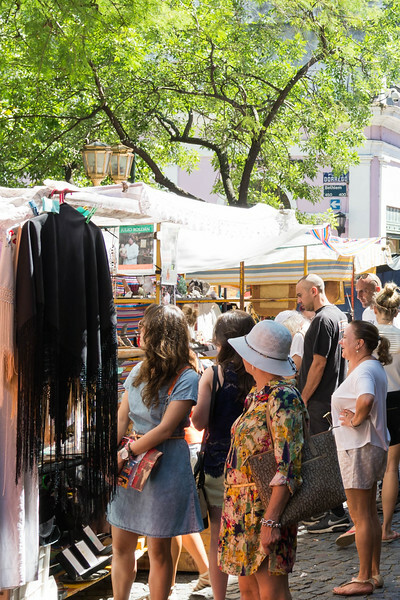 Shoppers in the San Telmo Sunday market. 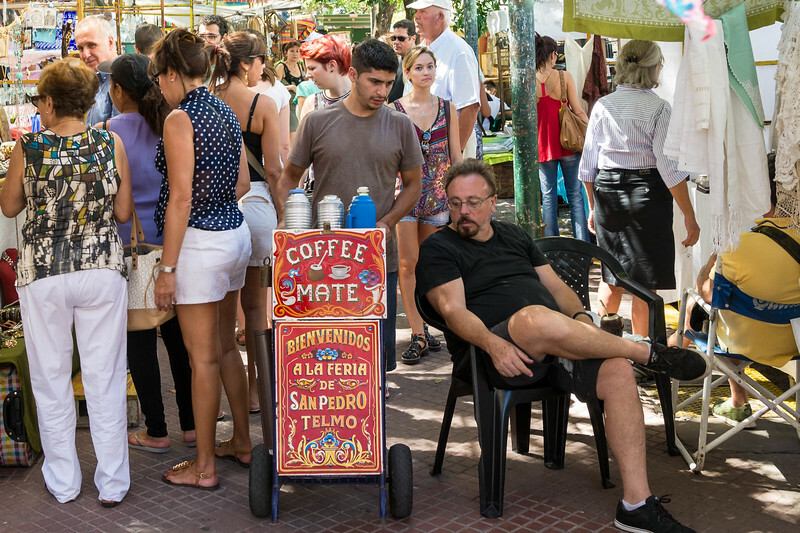 Merchants setting up their booth in San Telmo. 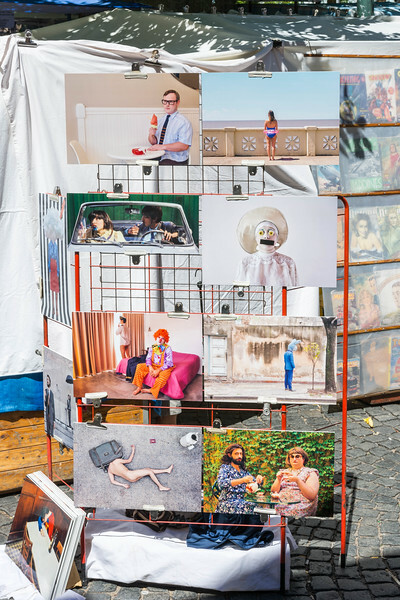 Paintings for sale in San Telmo. 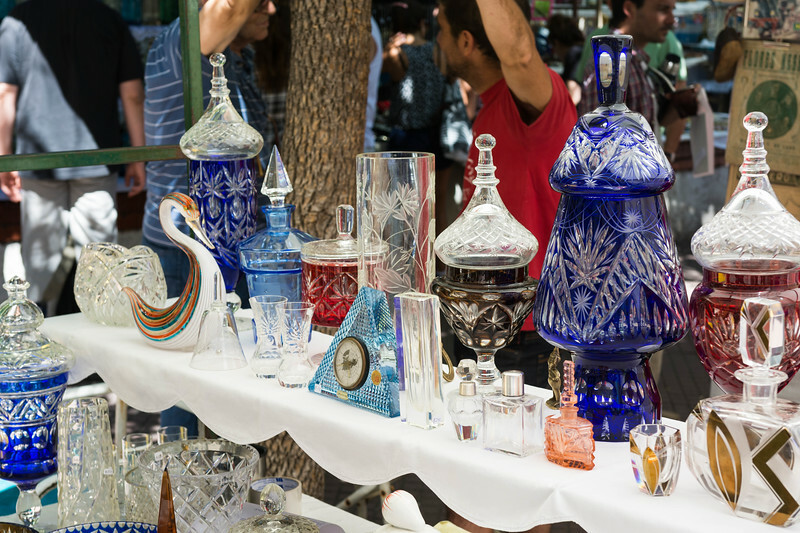 Many antique pieces, especially glassware, are available in the San Telmo market. 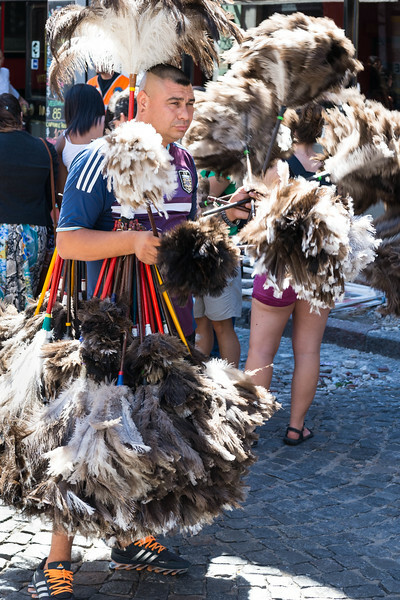 A man selling feather dusters in San Telmo. 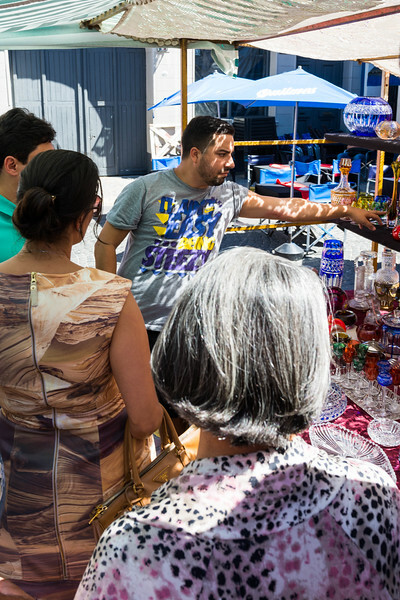 A vendor discusses his merchandise with customers. 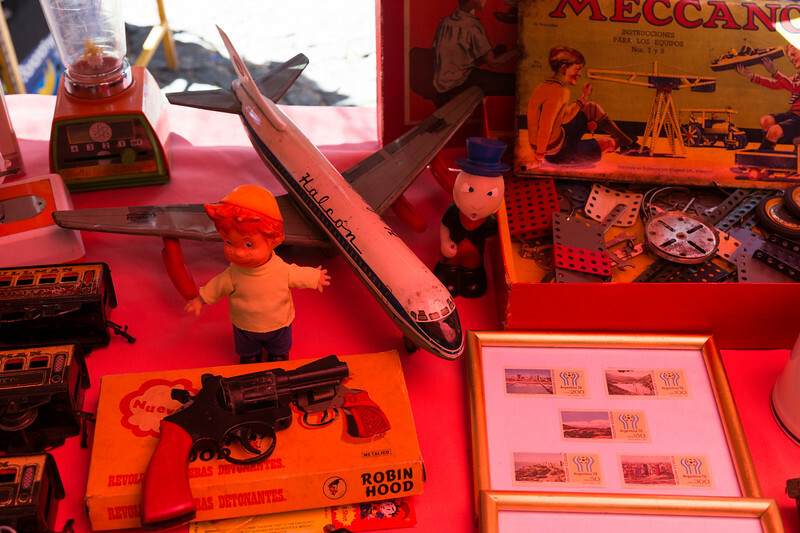 Antique toys for sale in San Telmo. 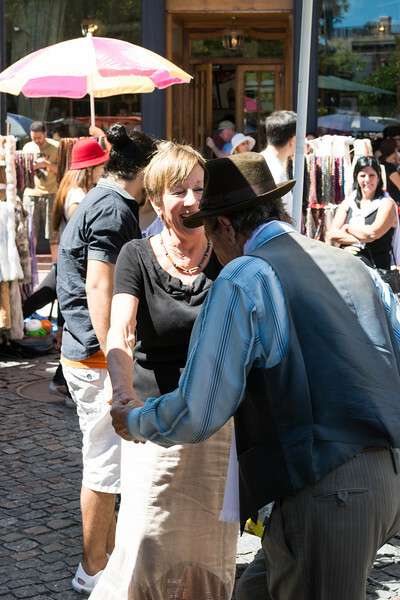 Dancers in the plaza at the San Telmo market. 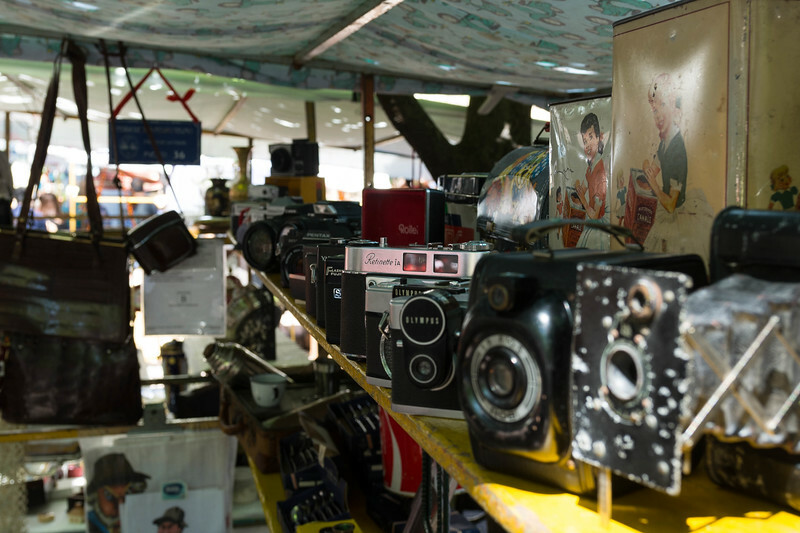 Antique cameras in a booth at the San Telmo Sunday market. 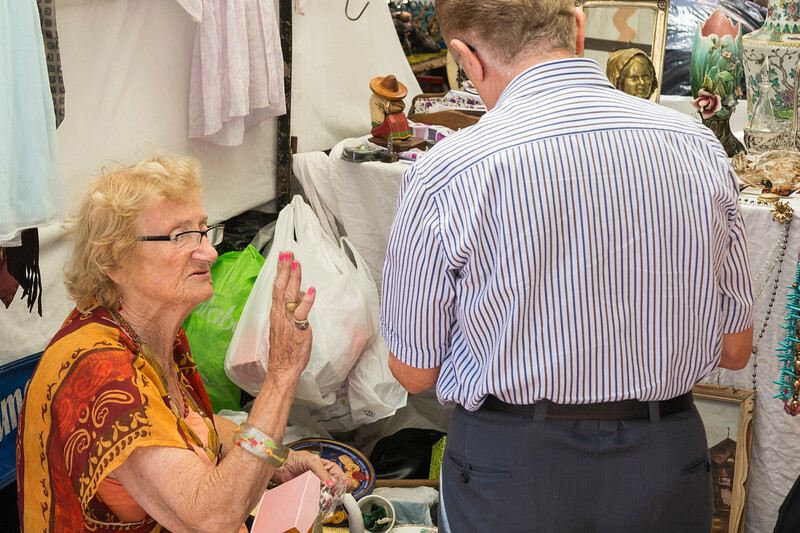 A vendor discusses her merchandise with a customer. 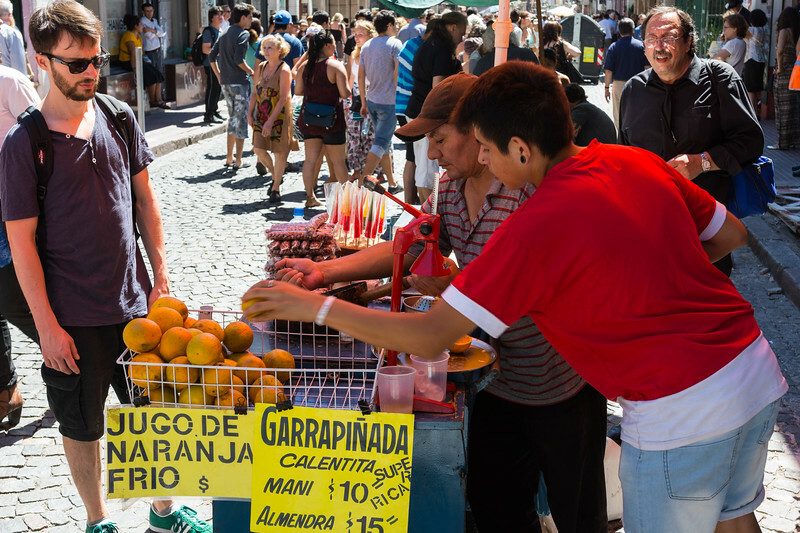 An orange juice vendor in the San Telmo market. Coffee and mate vendor in the market. Mate is a South American tea, drunk from a hollow calabash gourd through a metal straw. The man seated next to the coffee and mate cart has a cup of mate sitting on the empty chair next to him. 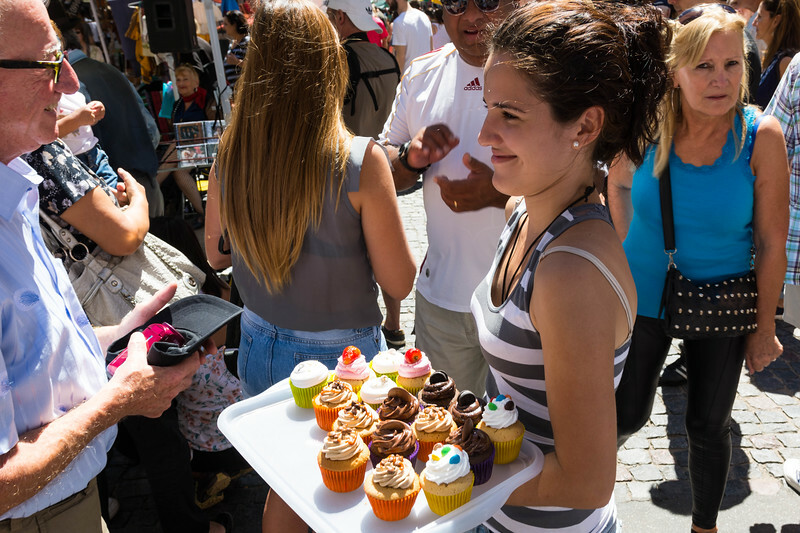 A cupcake vendor in San Telmo. 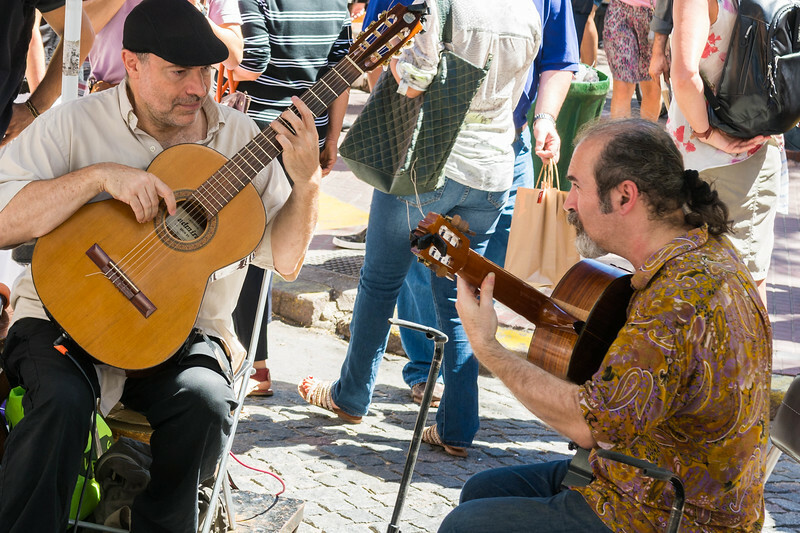 Musicians playing at the San Telmo Sunday market. 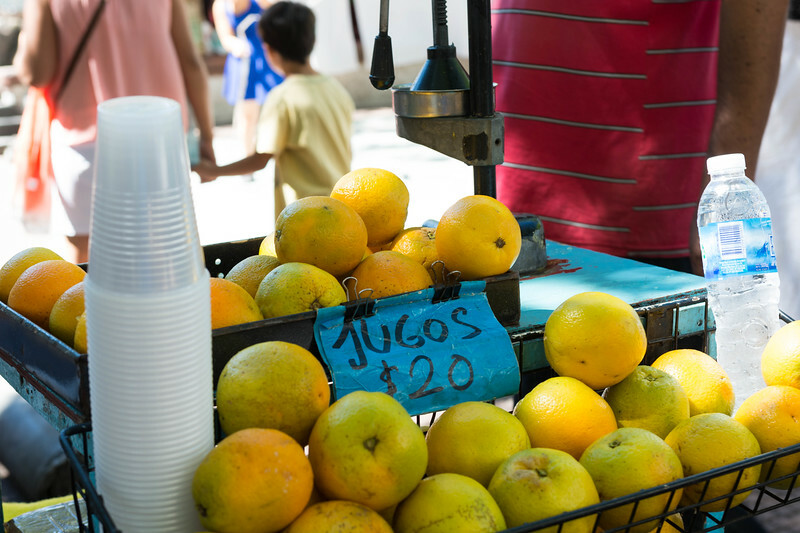 Fresh squeezed orange juice being made in the San Telmo Sunday market. 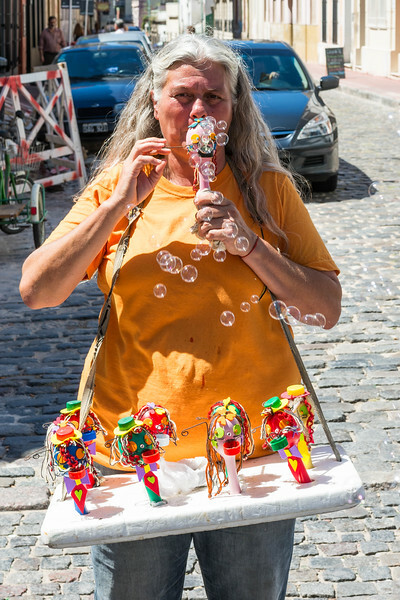 A lady selling bubble blowers at the San Telmo Sunday market. 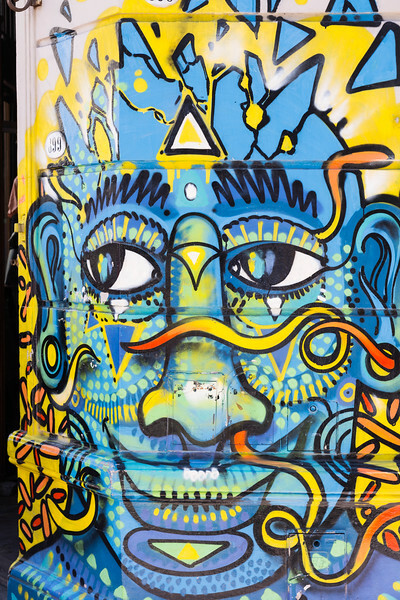 Graffiti on a wall in San Telmo. 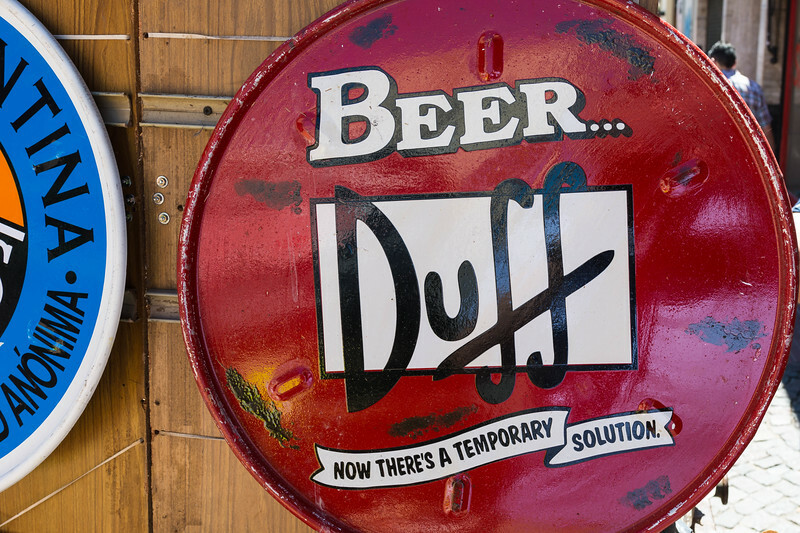 Beer signs for sale in San Telmo. 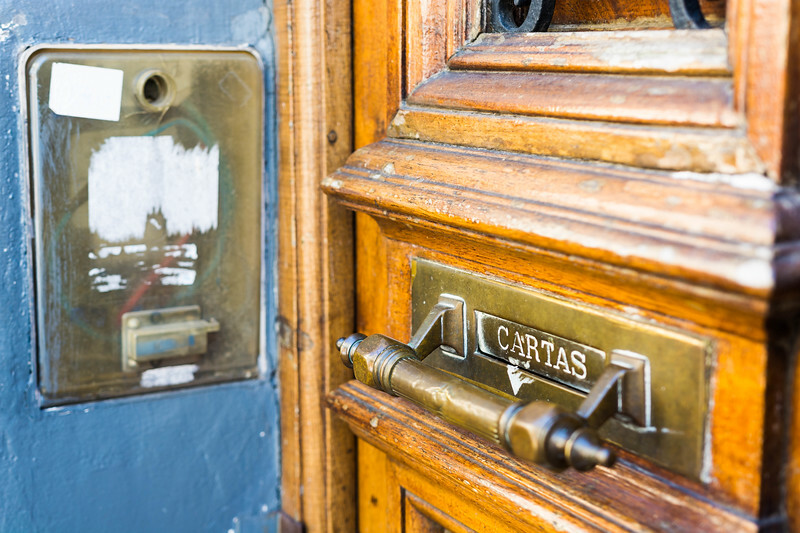 A door in San Telmo. 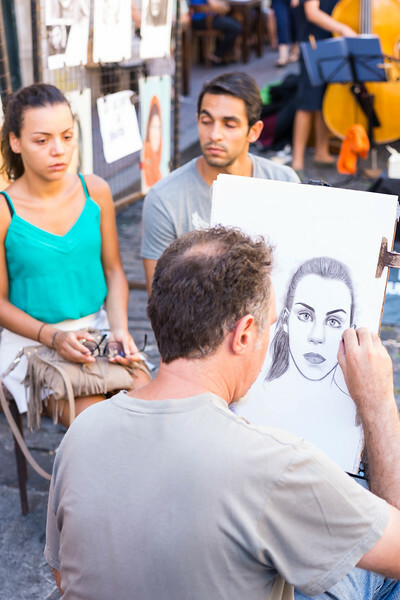 An artist at work drawing a lady in San Telmo. 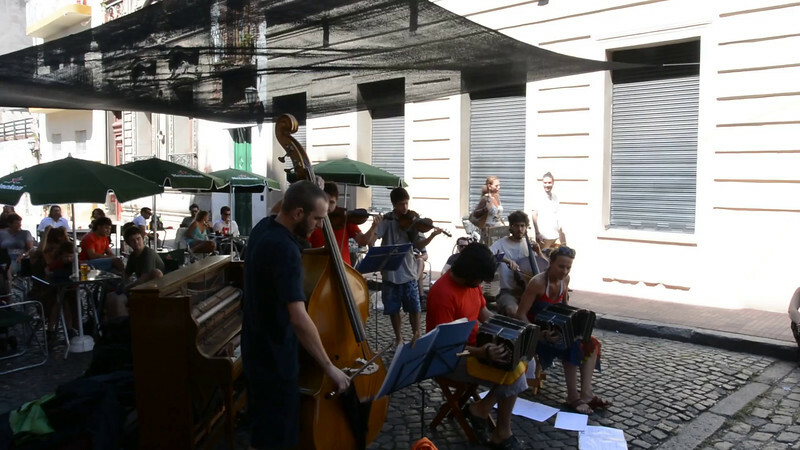 A band playing outside a café at the San Telmo Sunday market. 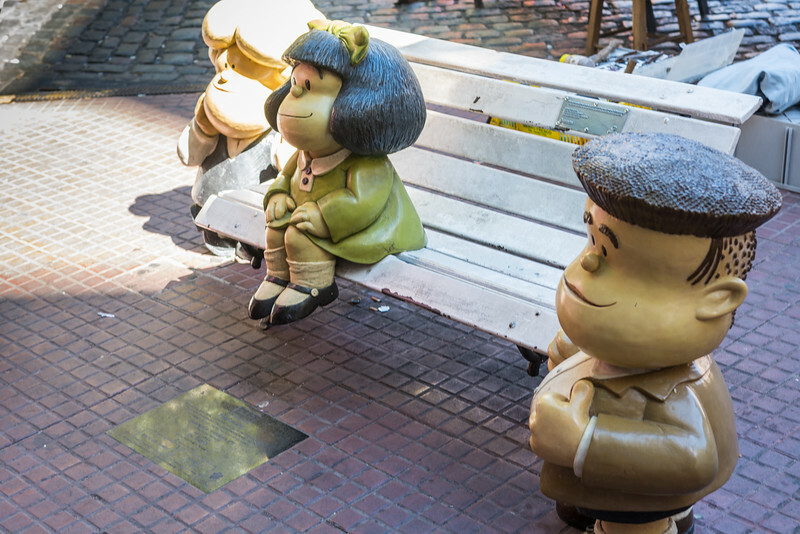 These statues are of characters from the Argentinian comic strip Mafalda, which ran in the 1960s-1970s. The strip has been compared to Peanuts, and has remained popular in Argentina, even though it has been out of print for 40 years now. 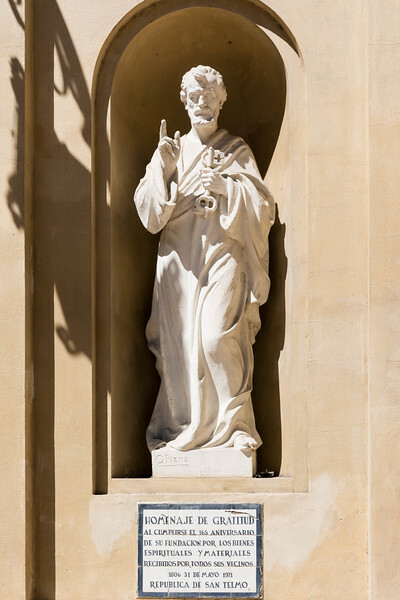 These statues are located just outside the cartoonist's former home in San Telmo. 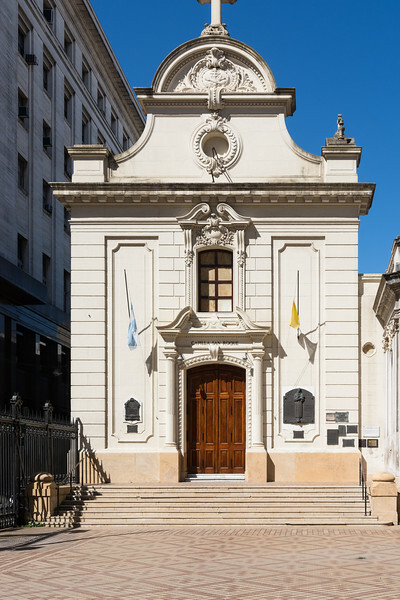 The exterior of Capilla de San Roque, a small chapel in San Telmo. 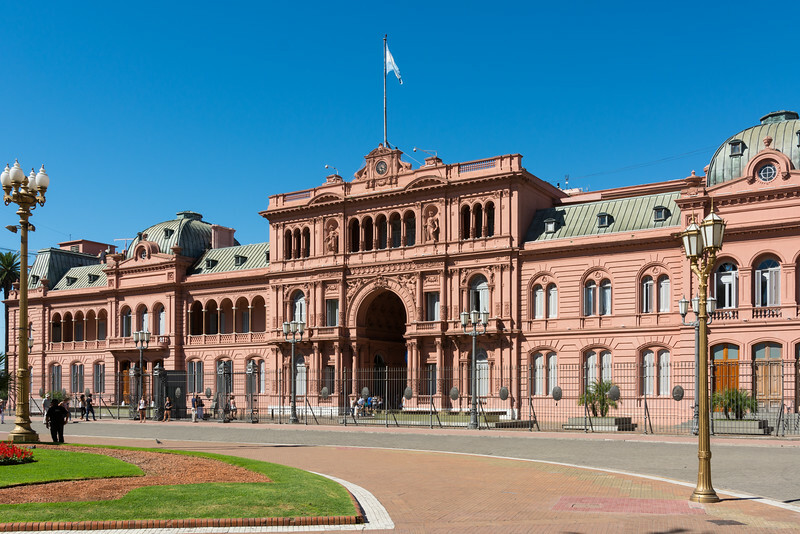 La Casa Rosada, or The Pink House, the executive mansion and office for the Argentinian president. 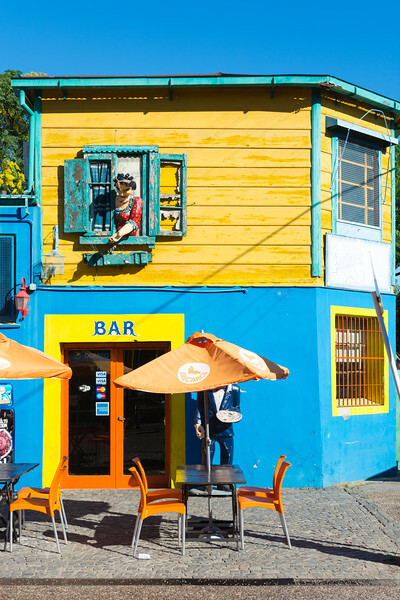 A restaurant in La Boca, a colorful working class neighborhood near the port in Buenos Aires. 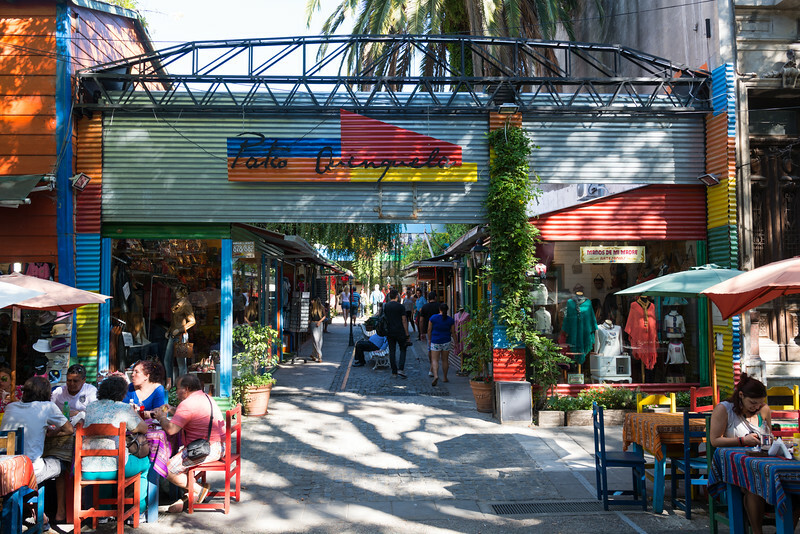 La Boca is bisected by the Caminito, a former railway that has been converted to a pedestrian street lined with shops, restaurants, and bars. 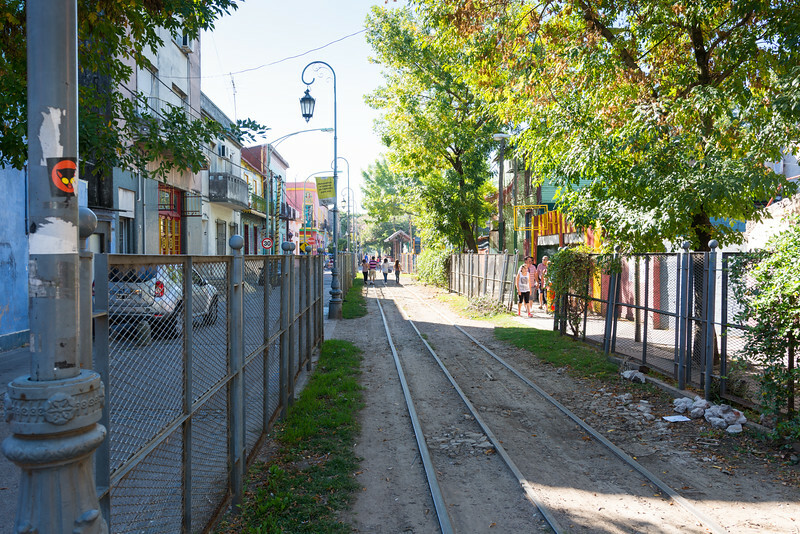 One of the abandoned railways in La Boca. 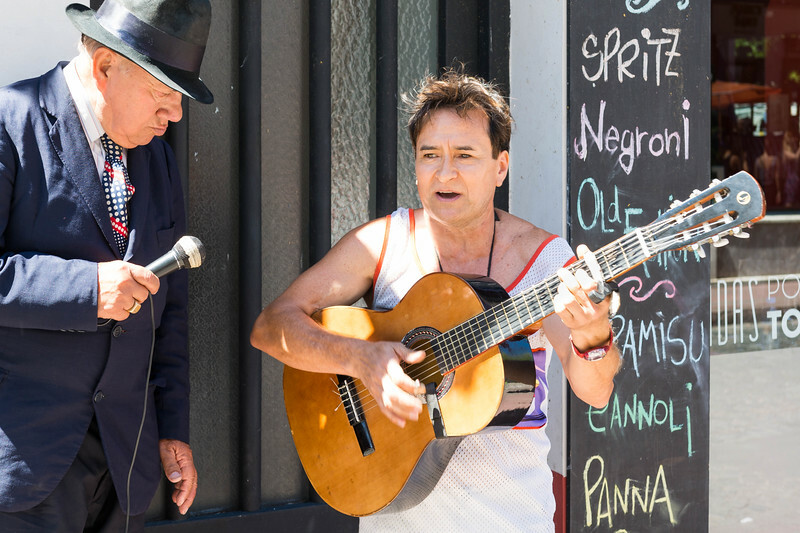 A bar in La Boca. 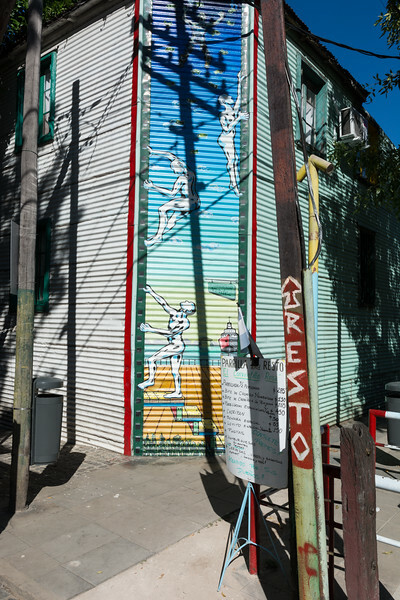 Art on the side of a building in La Boca. 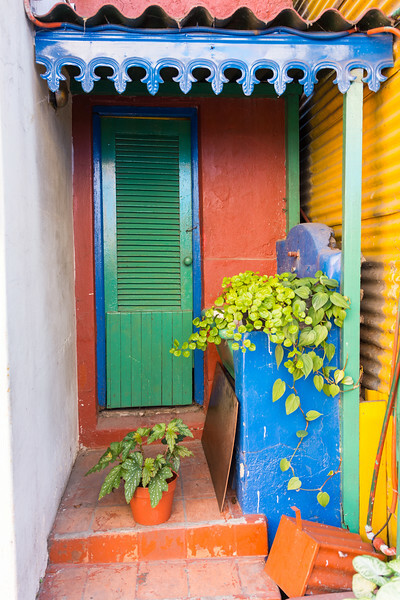 A small doorway in La Boca. 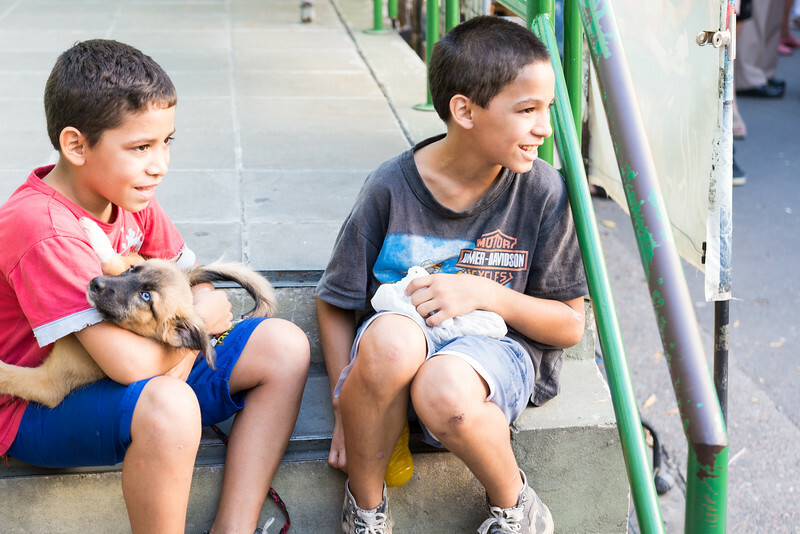 Two boys with a puppy in La Boca. 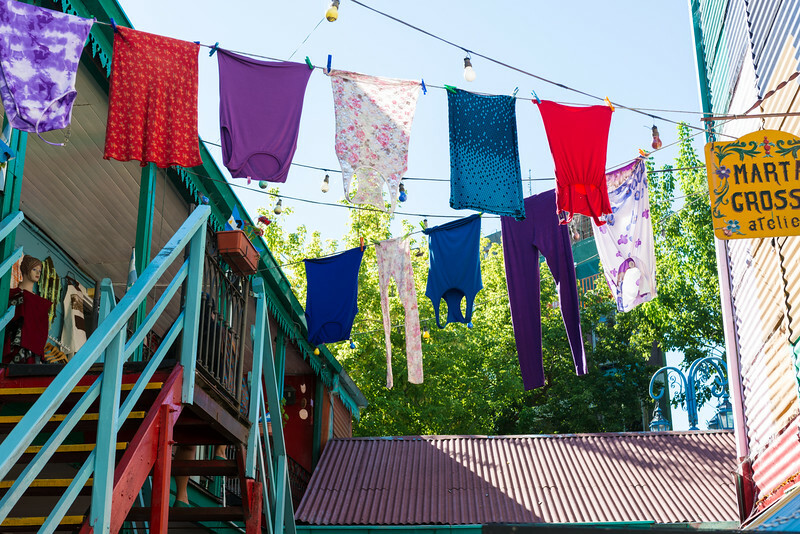 Laundry hanging between buildings in La Boca. 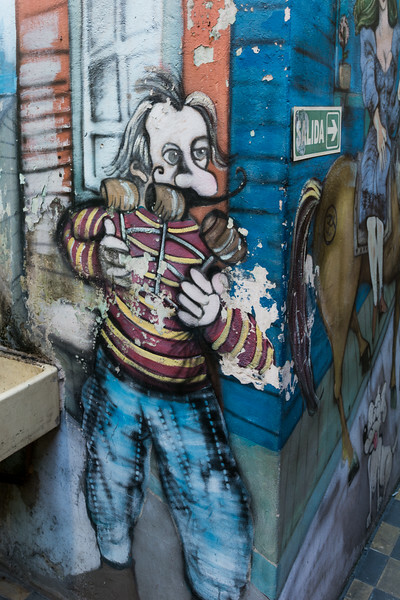 Graffiti on a wall in La Boca. 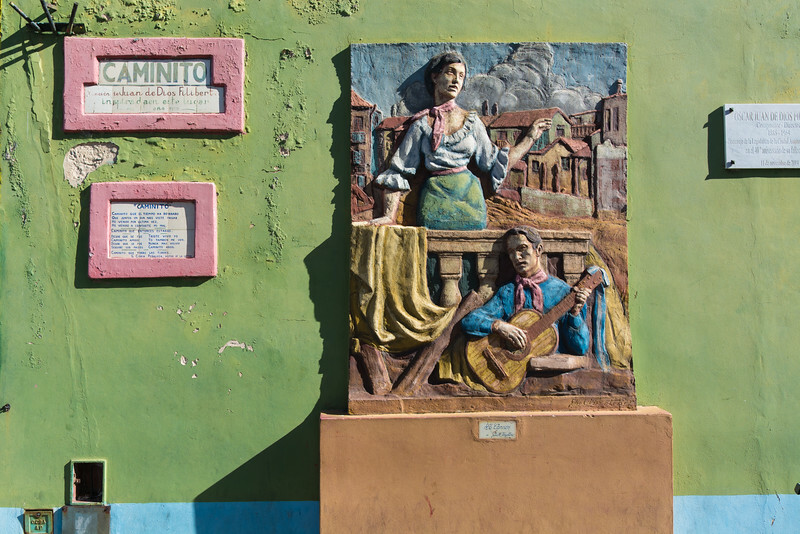 One of the many sculptures decorating La Boca. 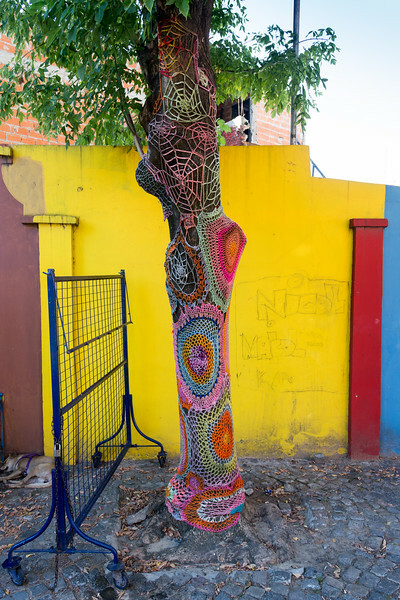 A tree, covered in crocheted spider web patterns in La Boca. 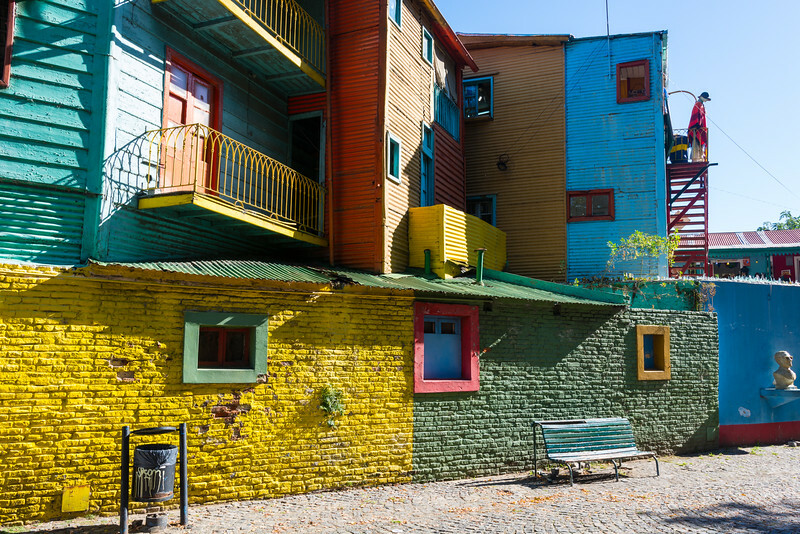 Multi-colored houses in La Boca. 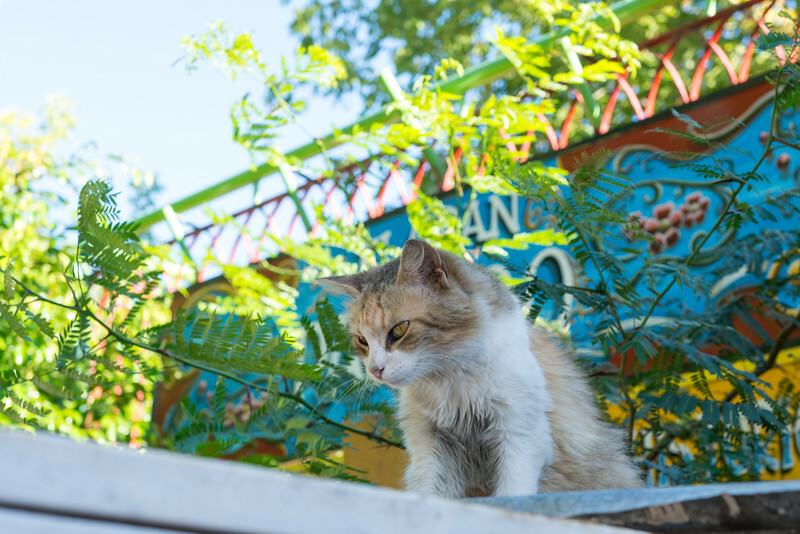 A cat on a roof looking down at us in La Boca. 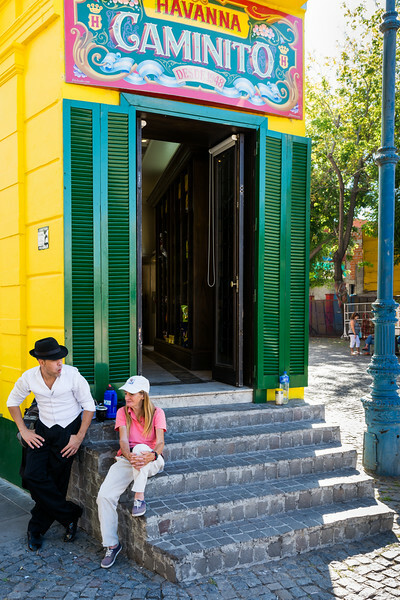 A small café in La Boca.